The chemical resistance properties of nitrile make these gloves great for light duty work with food, chemicals, solvents and more. They come has 100 gloves per box, and 10 boxes per case. This gives 1000 gloves to distribute throughout your work space. They are a premium textured powdered glove, that is manufactured in Thailand, with a rolled cuff and a 3.7 mil palm. 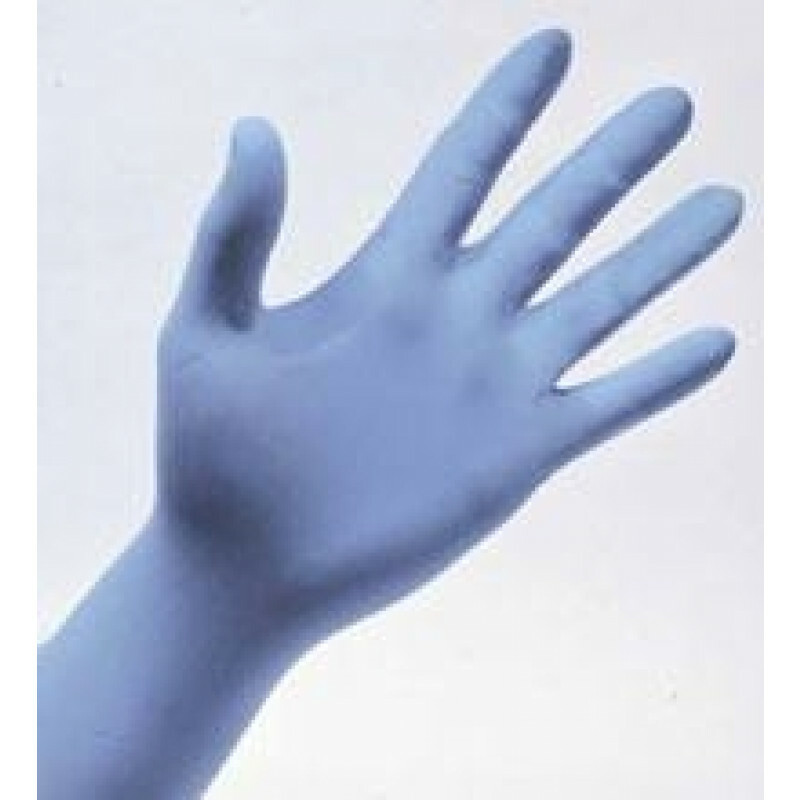 If you are looking for a little more rugged disposable glove, take a look at our complete line of nitrile gloves. Made with USDA approved materials for safe food handling. Ambidextrous and a snug secure fit make these gloves very easy to use. Textured and powdered for maximum gripping capacity. Easily disposed of for jobs that require a lot of glove changes. Chemical resistant to most chemicals in the automotive and other industries. 3.7 mil thickness stands up great to light duty use of food, chemicals, and solvents. 100 gloves per box, 10 boxes per case, equals 1000 nitrile gloves per case. Customers who were interested in the Safety Zone® Blue Disposable Nitrile Powdered Gloves were also interested in the following items. This is a review for the Safety Zone® Blue Disposable Nitrile Powdered Gloves.